Pokemon Light Platinum DS is one the most successful Pokemon DS rom hack. The original Pokemon Light platinum for GBA was released on 2011, and due to the game’s growing popularity, the developer made a remake of Pokemon Light Platinum using Pokemon HeartGold as a ROM base and making it available for Nintendo DS. Pokemon Light Platinum DS has 107 Pokemon from six different generations. In the game, you can encounter fairy type Pokemon and also there is an increased chance of meeting shiny Pokemon on wild. There are plenty of noticeable improvements in the game compared to its original rom base version. Whilst hasn’t updated for several years, yet still, the game captures the heart of many gamers. Modifying Pokemon DS games is not easy at all, it takes a lot of time to create a game as compared to GBA rom hacking. 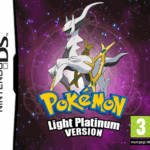 But the tremendous number of positive reviews for the Pokemon Light Platinum DS inspires many rom hackers to explore more the platform. Download Pokemon Light Platinum Ds now and play it with your favorite Nintendo DS emulator. Any cheats of this game??? Light Platinum DS is a HeartGold based game, so a regular Pokemon HeartGold cheat could work in this game, see Pokemon HearthGold cheats. Do you know if this Light Platinum DS is fully working? And if there is mega evo in? More. I can see a rowlet in the screenshots. Maybe 7th gen added too? The game is fully working but it hasn’t updated for many years, I guess this project is abandoned. for this to work you’ll need “pokemon edicion oro heartgold” (spanish version of heartgold) but there’s no place i can find it. Someone who knows a place where i can? I have the same problem, the link provided in the ReadMe is now defunct, so I don’t know what to do either. The game is complete? I mean, the story, and how many legendary pokemons it has? This is an outdated game and most likely it’s not yet completed. Can we play the whole story to the end? Can we play the whole storyline or is there a point where we can’t progress further?